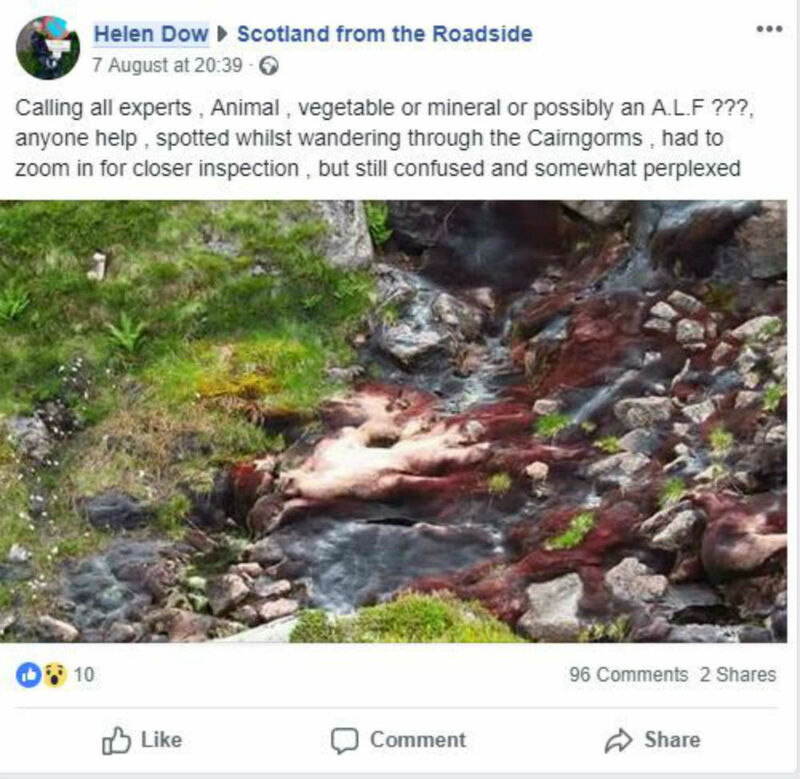 Helen Dow, 50, uploaded the picture to Facebook last Tuesday (August 7) and has since kicked off a huge debate as to what is in the picture. 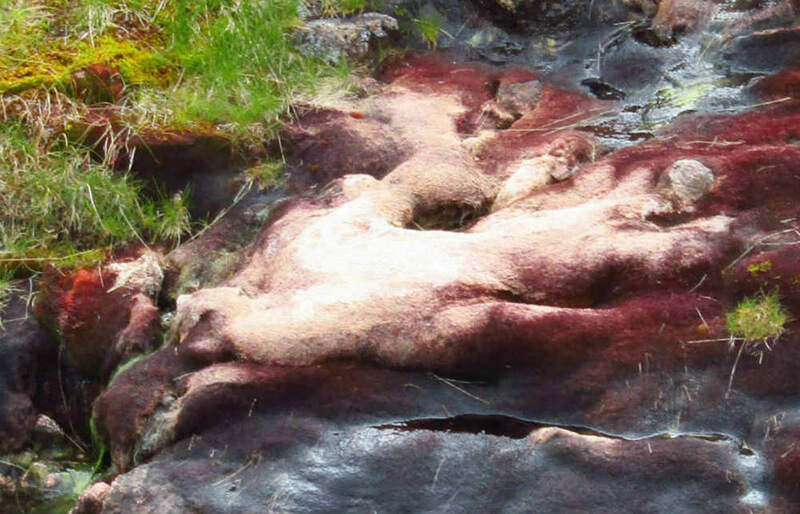 Taken from near Loch Etchachan in the Cairngorms, it appears to show a beige coloured body with red strands coming of it and flowing into the burn its laid upon. 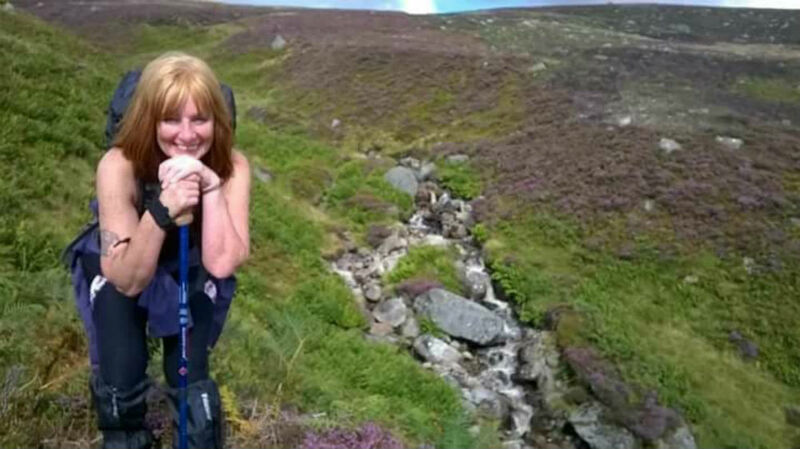 The support worker, from Huntly, Aberdeenshire, posted the photo online in an attempt to try to solve the mystery. She said: “Calling all experts, animal, vegetable or mineral or possibly an A.L.F? Anyone help? Spotted whilst wandering through the Cairngorms. The post received nearly 100 comments with people trying seriously, and not so seriously, to guess what the figure might be. However, one person seemed to guess a more suitable answer as to what they strange object may be. Helen is still no closer to finding out what the thing is. Speaking today, Helen confirmed that that the debate as to what it may be, continues. She said: “I’m still none the wiser, it’s so weird I’ve studied the photo at great length almost convincing myself that it’s not an animal, well im 99% convinced. “All we wanted was to refill the water bottle, but when we saw this we filled up elsewhere, it would’ve meant a fair trek down to study it at length.